Note from Jack: Today we have a special guest post from TurksLearnEnglish.com. When Kris left a comment on one of my posts pointing back to his new website, I was immediately impressed with the design and the message. Kris and his co-founder James have done a great job of finding a solution to a specific problem. The niche that they chose is one that they have experience with. Talking with Kris about their initial success, it is obvious that their content resonates with their audience, and that they are doing a great job helping English learners from Turkey. I hope you enjoy this post and get inspired by TurksLearnEnglish.com! 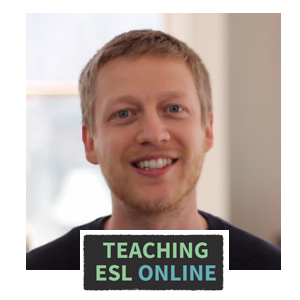 TurksLearnEnglish.com is delighted to craft our first guest article for Teaching ESL Online! When we chat with educators considering whether to take a leap and begin teaching online, we often hear reservations. Will my private students really get the same value in an online setting? Will they really want to pay my full private rate for online classes? We (TurksLearnEnglish.com) launched a site dedicated to conversation classes for Turkish speakers in May 2013. So far, we’ve found that the online experience can actually be more powerful than the in-person traditional English lesson. As urbanization grows across the world, the commutes in many of the world’s largest cities can be hellish. Many students learning English as a second language are also young professionals working long hours. If a young professional leaves work at 6:00 pm they may not arrive to a centrally located language school until 7:30pm. Three hours of class later and they are lucky to arrive home by midnight. This cycle is not sustainable. Offering online classes in large cities removes hours of unnecessary travel time. In rural or remote areas, you are offering a service that is simply not available in person. Most adult students do not need another grammar lesson; they need communication confidence. As any online teacher knows, the virtual world is a great platform for developing language communication ability. When a student pops on their headphones, they are able to focus with concentration that is rarely seen in a physical classroom. Better yet, the online classroom does not inhibit students in the way that a traditional classroom does. Fewer students and the webcam somehow boost a student’s willingness to take risks and make the mistakes every learner needs to advance in a language. Video self-study lessons for outside of classroom reading and listening are extremely powerful. These video lessons can enrich your students’ experience and provide them with an additional way of connecting with you as a teacher. At TurksLearnEnglish.com we’ve created a series of videos called İngilizce Dersleri where we read current event articles related to Turkey and introduce new vocabulary. So far they are a big hit with our students. Your students likely travel. If they are working in a competitive field, sometimes they’ll have to travel without much notice. Even if they don’t travel, they often have to stay late at work and do not have time to get away to an 8pm class. We’ve all seen this in the past; a busy student misses two weeks of class in a row and suddenly drops off, partly due to embarrassment. Online lessons give your students they ability to stay up to speed with their lessons even if they need to skip town for a week or work late. There are many things that can be done online that cannot be replicated in the real classroom. Running games and quizzes using pre-developed lesson plans and screen sharing is more natural online and can be great for motivation. Using the chat function to help a student while conversing is also a great tool. Recording lessons can also be powerful. We’ve found that many of our students like to go back to lessons they found challenging and review them. Want to Have Something Similar to Kris and James? Learn how to create your own site here, and sign up below to get free resources, blog updates, and information about my new guide. Let’s face it, most of us didn’t get into the ELT industry for the money. In my case, going to Spain meant that I could live in a great country, learn some Spanish, do what I love, and be with my girlfriend (now wife, Kate). At that time, Spain was the only country where we could both work legally. I am a European citizen so it was easy for me to move there, while my wife was accepted on a program called, “Auxilliares de Conversacíon. I had long dreamed of living and working in Spain, so I felt incredibly fortunate that Kate got into this program. We had a great experience, first in Bilbao and then in Valencia. But, the pay was terrible. Kate’s stipend was around $1000 a month, and I brought in just a bit more to begin with. I taught a few private lessons which earned me some extra income, but having to go from place to place limited my ability to teach many lessons in one evening. The money wasn’t the reason we were there; we were looking to have a good time and experience what it was like living in a foreign country. But we soon wanted to settle down and find something that brought in more money. I had no intention of continuing down a path of little pay. So, I started my own online language school with the initial goal of earning double what I was earning in Spain while working similar hours. But, before we get into that, let’s look at the places abroad where you get paid the most to put things into context. I came across an article the other day listing the top nine best-paid countries for English teachers. You can see that from the salaries listed (and the comments) that you can earn a good income when teaching in these countries (your definition of “a good income” may be different to mine). I do know, however, that in a lot of these places you are expected to work very long hours, and some of those countries aren’t on my list of potential places to live. Many of you reading this, and I include myself in this, see teaching abroad as a temporary thing. I would love to travel more and work in other countries again someday, but with a family and a house, my current situation doesn’t align with a globe-setting lifestyle at this present time. So, going back to my story, after working in Spain for a couple of years, we decided to settle down in the US. More precisely, in a small city called Asheville in North Carolina. It’s a fantastic place to live, but it is difficult to find work here. 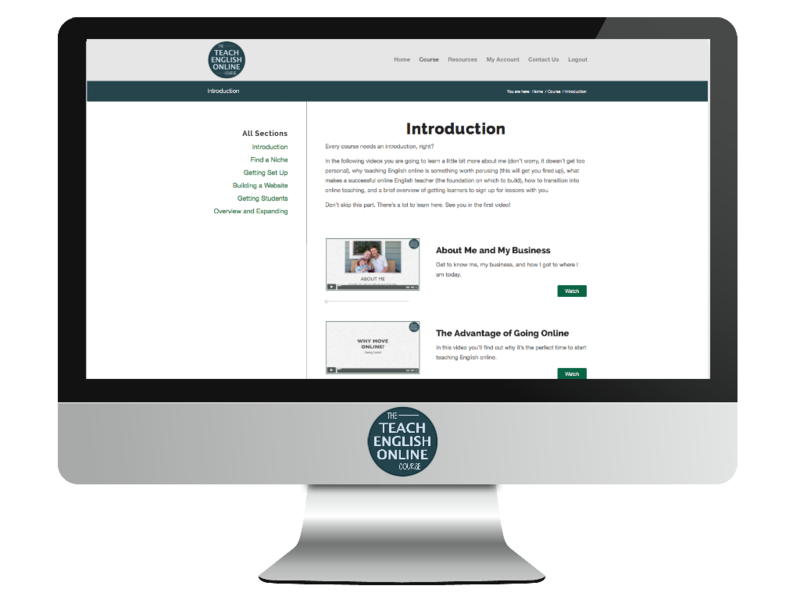 But, one of the biggest things that I have learned about online teaching is that you can charge much more for online lessons than most people expect. It’s all about finding students who are willing to pay what you want to charge. It seems like the conventional wisdom is that you can’t earn as much online as you can face-to-face. I imagine this is because online lessons aren’t seen to be as valuable as the more traditional lessons by teachers. I saw a discussion a couple of weeks ago where someone was arguing that you won’t be able to get close to $30 an hour for online lessons. His reasoning was based on the fact that some teachers offer lessons at $5 an hour. This is the wrong way to approach pricing and, in fact, the opposite is true; teaching online and freelancing gives you the ability to charge much higher prices. To illustrate this, let’s take the second best-paid country for English teachers from the list above: Saudi Arabia. Personally, I wouldn’t like to go and teach in Saudi Arabia (for reasons that I won’t go into). But that doesn’t mean that I can’t teach Saudi Arabians. As an independent online teacher, you can reach any English learning market in the world while living wherever you want. Those of us who teach English online aren’t in competition with teachers who charge $5 per class. We are in competition with language schools and teachers who teach the students we want to target. And, if making money is your goal, then we want to target students who are willing to pay higher prices. To earn more money, it all comes down to choosing the right niche, offering value to your students, and marketing your lessons. The potential to earn what you believe is a “good wage” is huge. There are students out there are who desperate for a teacher like you to solve their problems and help them make the improvements that they desire. The best thing is that you don’t have to leave your house, let alone your country to do this. We don’t have to settle for a low wage or have to move somewhere else to earn the money that we want to earn. This in turn, means something really special to most teachers: we can continue doing what we love.